The leader should be removed automatically, though it takes time (in case they are unfrozen). If it's already been quite a long time, please have the leader write in to support. Yes, as long as it's funded by your main account. You're welcome to enter the Gallery Spotlight on your side accounts, as well. If you wish to have your main account credited, though, then please put a note for us along with your Gallery description. Highly unlikely. It's from a very old plot, and has been left that way for Neopian historical purposes. Click the three parallel lines in the upper right hand corner of your browser and set the zoom to 100%. If that doesn't fix it, then please submit a bug report to us! The 600th issue is still a good ways off; we are not taking submissions for it yet. We recommend trying again in a couple weeks. Best of luck! Please enjoy these completely unrelated images. Those were dark, terrible times, weren't they? D: We'll prod our content team to pencil in updated shields. You may have noticed that Jazan isn't the most... social of Neopians. Aside from his beloved Nabile and faithful friend, the Nightsteed, he prefers to work alone. The Faeries' Ruin was more of a forced teaming up, really. It's doubtful he'd join the Order even if invited. Hahahahhaha! You're right. It cannot be unseen. 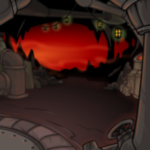 Players can get quite upset if their Neopets' images change, so we're very hesitant to make updates to Neopet colours that are already released unless it's for a very good reason (like the customisation overhaul). Final Editorial image not found.